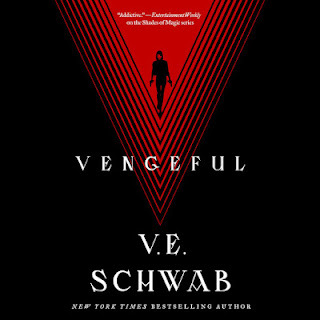 I just finished listening to VENGEFUL by V.E. Schwab and I am stunned by it’s absolute savage tribute to power and women. Five years in the making and OMG! I can’t believe it is over. Upon returning to this world where E.O.’s reign and the search for ultimate power matters most it is refreshing to return with new players that change the game as we know it. Yes, Victor and Eli are back and while their stories will leave you in breathless anticipation, it is Marcella, June and Sydney’s stories that will bring you to your knees. Marcella Riggins, is a new player in this story and I must say became an instant favorite. What more can I say about this character except that she was mesmerizing to witness: Cunning and ruthless, with a way of scaring the crap out of you while leaving you in rapt admiration at the same time. I admired her lack of fear and how she wanted to be seen and not ignored simply by being a woman. Her collaboration with other new characters created a tour de force that could rule the world or burn it down to the ground. And things were going to change especially when you add Victor and Eli to the toxic mix. It is only a matter of time and when the inevitable clash comes you will be left stunned. You have been warned. As I began listening to this story I was reminded on why I liked V.E. Schwab’s writing so much. It’s best described as being with an old friend that puts you on edge, the one that dares you to go beyond your comfort zones and although it feels uncomfortable at first you are thankful for the experience. She has a way of writing these villainous characters that one cannot help but empathize with and cheer on. Fans of this series will be pleasantly surprised by the turn of events in this book and will only crave for more like I did. 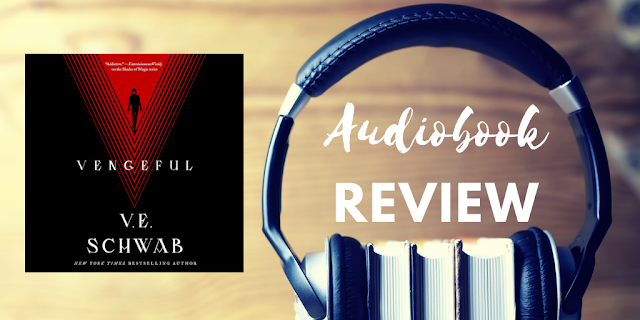 Narration: Jeremy Arthur did a fantastic job with Vengeful. Every emotion and nuance of this story was captured in the perfect cadence of his voice. I am a fan of his previous works and was pleased that he came in to work on this novel. I am so thankful that I got to listen to this book because it is one of my favorite for this year. 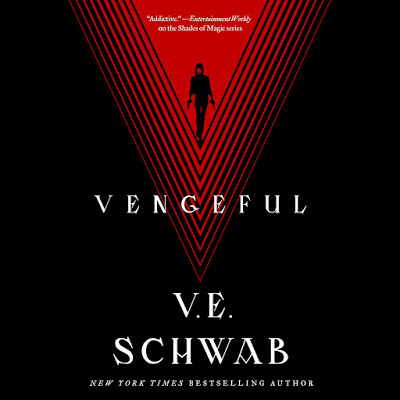 Listen to an excerpt of V. E. Schwab’s VENGEFUL audiobook, read by Jeremy Arthur.